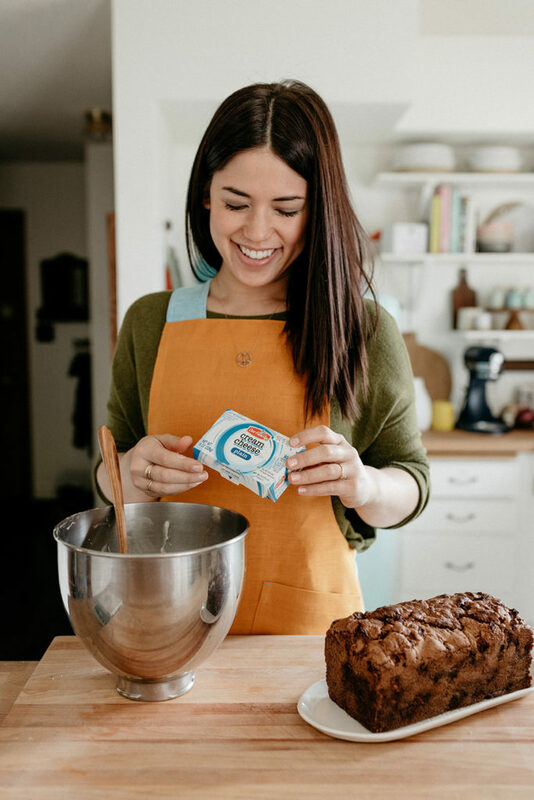 GRAND RAPIDS, Mich. – SpartanNash today announced a unique and exciting holiday partnership with its Our Family® brand and Molly Yeh, food blogger, best-selling cookbook author and star of Food Network’s Girl Meets Farm. The food blogger and cookbook author will feature recipes on her blog, mynameisyeh.com, combining quality Our Family ingredients with Yeh’s imaginative approach to comfort food. The recipes for Yeh’s pizza bourekas and caramel apple cake with cream cheese frosting – featuring Our Family cream cheese, shredded mozzarella and ricotta cheeses – are currently available on mynameisyeh.com, with additional recipes coming soon. In addition to Yeh’s featured recipes, the Our Family brand is encouraging fans to enjoy the holidays with Molly and Our Family. Through December 12, fans of the Our Family Facebook page (@OFFoods) can enter for a chance to win a signed copy of Yeh’s best-selling cookbook Molly on the Range, by sharing their favorite holiday dishes using Our Family products. The star of Food Network’s Girl Meets Farm, Yeh is the creator of the critically-acclaimed and highly popular food and lifestyle brand mynameisyeh, which has been recognized by the likes of the New York Times, Food & Wine, New York Magazine, Saveur (“Blog of the Year”) and Yahoo (“Food Blog of the Year”). Her cookbook, Molly on the Range, was named Judges’ Choice in the International Association of Culinary Professionals (IACP) 2017 Cookbook Awards. She was also on Forbes’ “30 Under 30” list for 2017. Yeh grew up in the Chicago suburbs with a Chinese father and Jewish mother, followed by a post-high school life in New York City studying percussion at Juilliard. She then got married and started her food blog, relocating with her husband to a sugar beet farm in the upper Midwest where she currently resides. With more than 2,000 high-quality, affordable items available in every aisle of the store – and more than 1,400 retail stores in 16 states that carry Our Family products – the Our Family brand has offered “Quality since 1904,” including a best-in-class, risk-free Satisfaction Plus Guarantee; Facts Up Front nutritional labeling; category specific packaging; and a community support program, Direct Your Labels™. Supplied exclusively by SpartanNash, Our Family is here for yours. For more information, visit ourfamilyfoods.com.